Champions League • RSL knows it'll be in trouble if it can't keep 34-game home unbeaten streak alive against Saprissa. Sandy • To coach Jason Kreis, everybody looks great. His Real Salt Lake players have been sharp, aggressive and attentive all week in practice, seemingly dialed into the importance of the first leg of their CONCACAF Champions League semifinal series Tuesday night against Deportivo Saprissa of Costa Rica at Rio Tinto Stadium. "But I say that a little bit tongue-in-cheek," he said, "because what I'm beginning to learn is that sometimes the training sessions don't tell the tale." 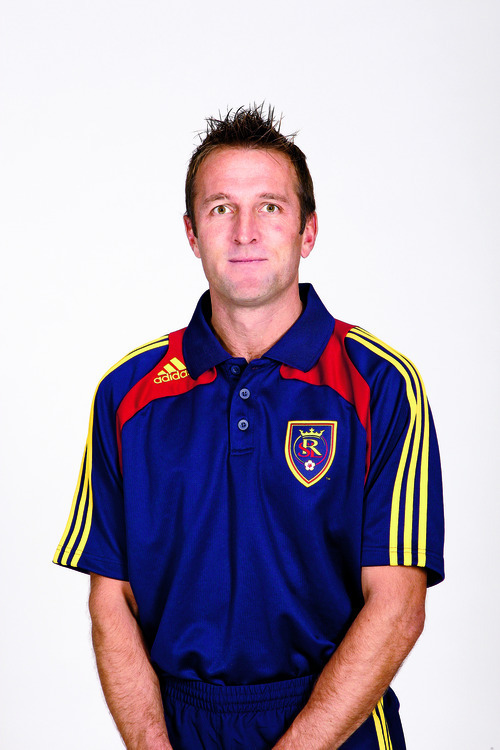 And RSL cannot afford to allow nerves and anxiety to affect its performance, the way Kreis felt the team did in the first leg of its quarterfinal series in Columbus, which ended in a scoreless draw. It needs to win the opener against the "Purple Monster"  the dominant Costa Rican team for which RSL's Alvaro Saborio once starred  or face the prospect of chasing the game in the intimidating setting of the return leg at Saprissa Stadium in San Jose on April 5. "We're looking for the goals, no?" midfielder Javier Morales said. "One, two, three … whatever. But we need goals to score and we need a win to go to Costa Rica." The winner of the series will advance to play either Cruz Azul or Monterrey of Mexico in the tournament championship, for the right to reach the prestigious Club World Cup in Japan in December. RSL has made doing so a top priority, and midfielder Kyle Beckerman said the meeting with Saprissa ranks "right up there with MLS Cup" in terms of importance to the team. "It's huge," he said. "It's a monumental game." The team is hoping for another good crowd for the second home game before the start of the Major League Soccer regular season, and figures it has a good handle on what to expect from Saprissa. Although a few players said they figured Saborio's former team might try to clog the midfield and make things tough for Morales while sitting back, playing conservatively and waiting for opportunities to counterattack, one Saprissa official was quoted in a Costa Rican newspaper article last week as saying the team planned to play as aggressively as if it were at home. Kreis agreed, based on what he saw of Saprissa in its quarterfinal against Olimpia of Honduras. Ahead by a goal after the first leg at home, the team bucked soccer convention by pressing hard in the second leg on the road and winning 2-1. Beckerman recalled Saprissa playing aggressively, too, in an exhibition victory over RSL at Rice-Eccles Stadium in 2008. "I expect the same thing," Kreis said, "which would be completely different than almost every team we face here." That's because most teams are deathly afraid of RSL at home. The team is riding a 34-game unbeaten streak at home in all competitions, in part because of its strong fan support and advantage playing at altitude. It has won nine of its past 11 at home in all competitions, and showed an ability last season to blow out opponents at Rio Tinto Stadium. But RSL says it doesn't need a blowout, just a victory. "Most important is just to win the game," midfielder Will Johnson said. About RSL • It's riding a 34-game home unbeaten streak in all competitions, during which it has outscored opponents 70-18. … Forward Alvaro Saborio has scored seven goals in Champions League games, and RSL is 10-1-2 when he scores in Major League Soccer or Champions League games. … Midfielder Kyle Beckerman missed practice over the weekend due to illness, but said he was almost back to normal. … Defender Chris Wingert is questionable with a sprained ankle. … It scored a 4-1 quarterfinal victory over the Columbus Crew in its last home game. … It's aiming to become the first U.S. team to win the Champions League. About the Purple Monster • It's the most successful club in Costa Rica, having won 29 domestic league championships. … Midfielder Armando Alonso has scored three goals in Champions League, and struck against RSL in a 2-1 friendly victory in 2008. … It has lost just twice in 14 games against Major League Soccer teams in Champions League play, going 7-2-5. … Defender Douglas Sequeira played for RSL in 2006. … It reached the Champions League final seven times when the tournament was known as the Champions Cup.